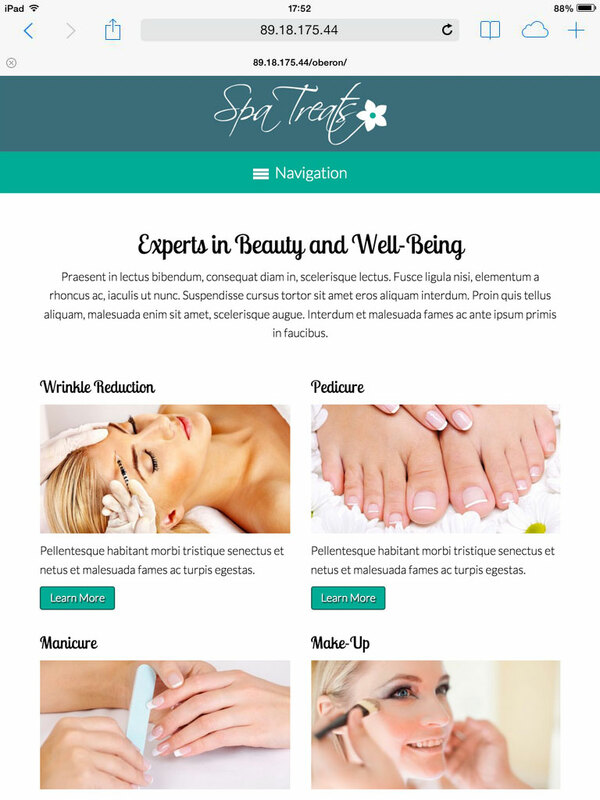 With the Spa Treats WordPress theme, building a professional website for your spa or salon is as easy as filling in your own text and photos on pages already set up to beautifully present your spa services. Customize the colors and page layouts without any coding at all! 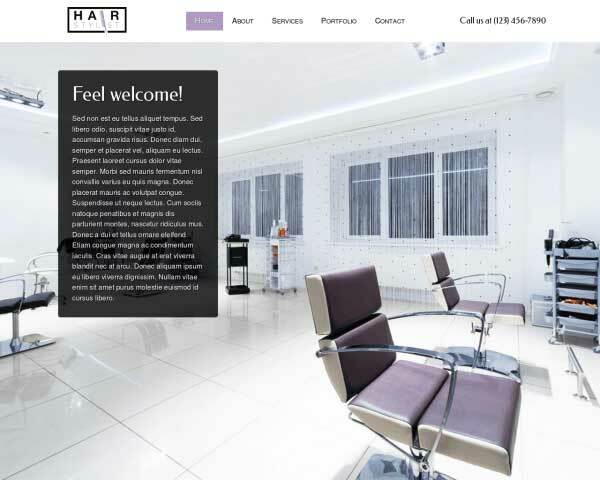 Your online presence can reflect the style, elegance and relaxing atmosphere at your spa or salon when you build your new website with the Spa Treats WordPress theme. Pages for your spa services, contact details, blog and more are filled with placeholder content and ready for your own text and images. It's easy and fun to personalize your website with our visual front-end editor and drag and drop widgets. No coding is required to change the color palette, rearrange page layouts or add exciting features like videos, a Twitter feed, or beautiful lightbox image galleries. We've included powerful business tools like customizable contact forms and an SEO manager to help you attract new clients online and encourage them to get in touch. 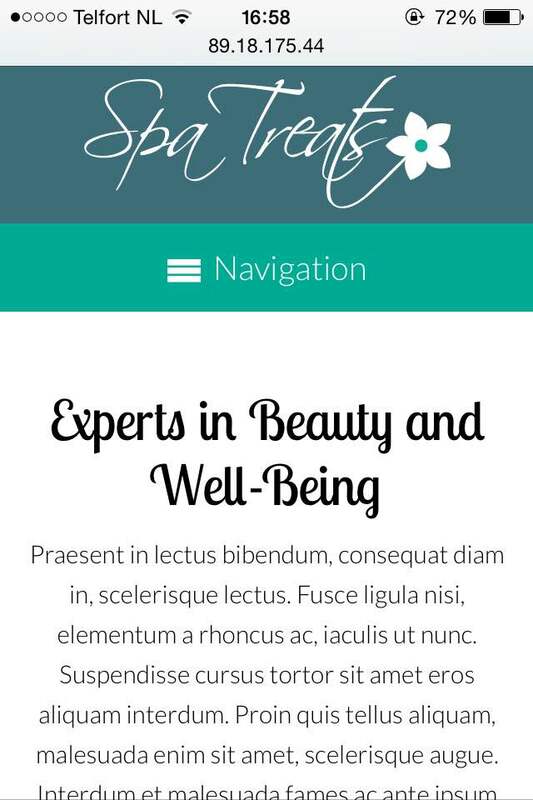 The Spa Treats WordPress theme offers spa owners a quick, affordable way to build a professional, customized website that you can be proud of! This Spa Treats WordPress Theme wouldn't be complete with a section to feature article, tips and news about your organization. So it's there for you to use as you please. 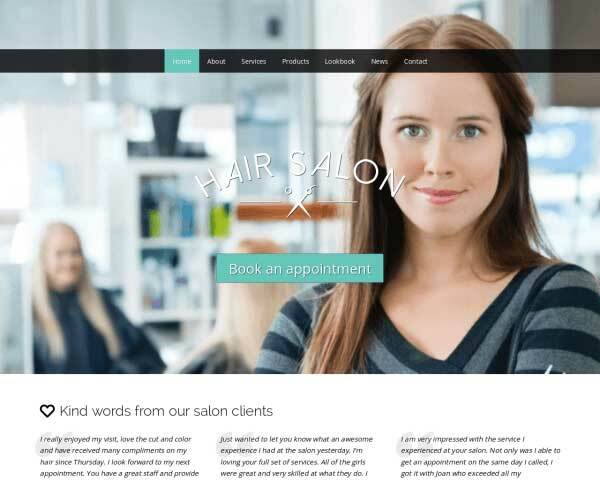 The Spa Treats WordPress Theme was made specifically with the business needs of salon owners in mind in order to ensure the best match for your website. The Spa Treats WordPress Theme sports a full-page slider. There's no better way than to introduce yourself to clients with maximum "Wow" effect. The service detail pages of the Spa Treats WordPress Theme allow you to go into detail about what you and your team can do for your prospective clients. 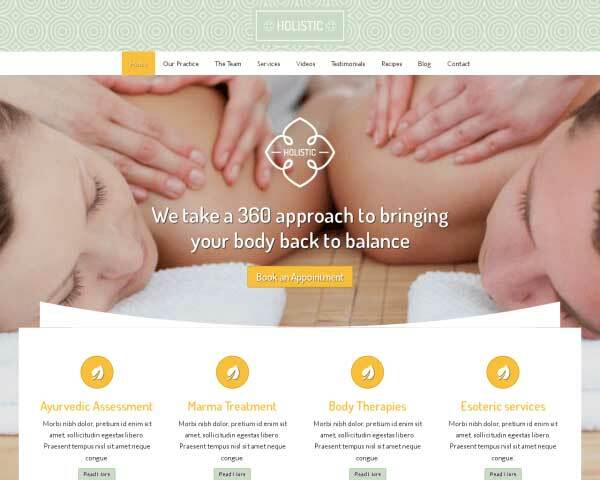 The Spa Treats WordPress Theme offers a birds eye view of your services via the strategically placed service overview, which appears on the homepage. 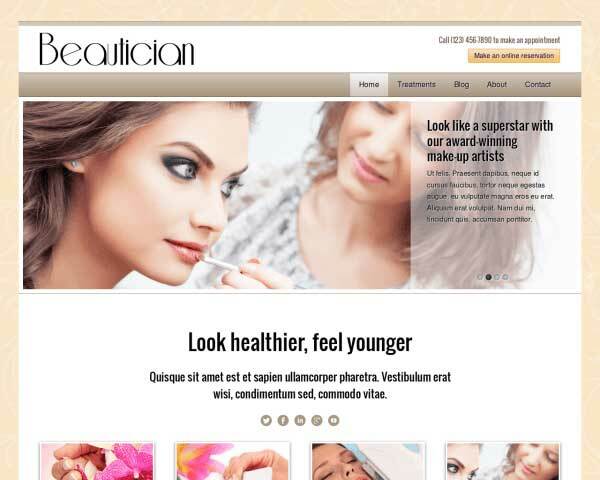 This WordPress theme for beauty salons comes packaged with social media options like sharing and following icons for popular platforms and widgets that display a Twitter feed or Facebook like wall. 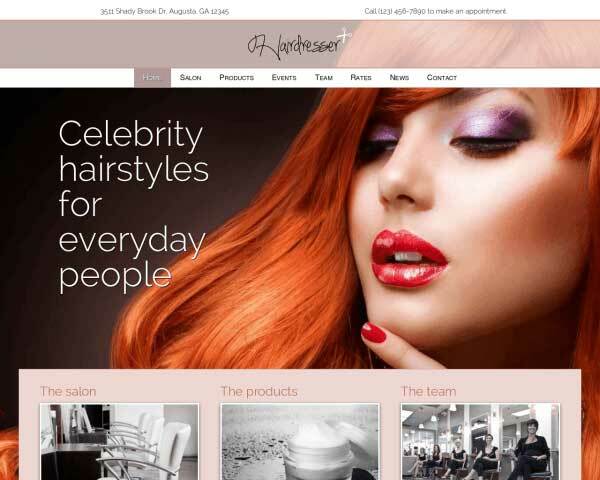 Introduce your team of salon owners on the about us page of this pre-built WordPress theme. Including photos and short bios gives your website a personal touch. The testimonial section allows your customers to share valuable feedback with the world. In turn, you can use the testimonials to further market your services. It's a win-win! 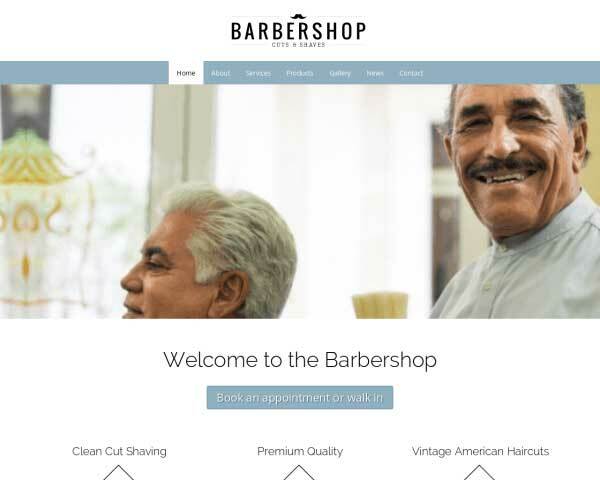 Make sure that mobile visitors to your spa website will enjoy the same professional look and easy navigation of the desktop version of your site when you start with the responsive Spa Treats WordPress theme. Our mobile-optimized design takes care of adjusting the layout of your text and images without any extra effort required. You can add posts, photo galleries or any type of content with confidence knowing that your website will make a professional impression at every screen size. Best of all, mobile visitors can simply tap your phone number to dial.